High quality jewelry mens or womens wedding band engagement ring. 100% genuine solid 14k gold. Great item for that special occasion. 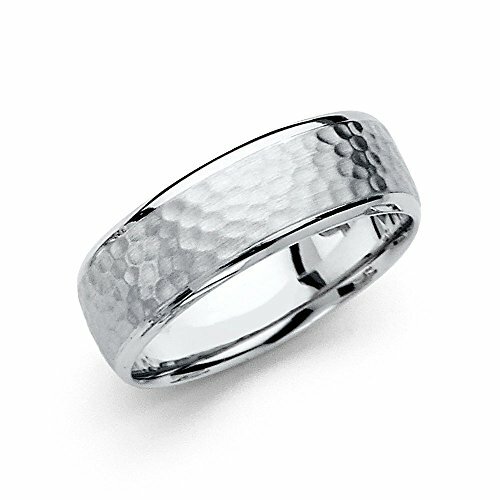 Solid 14k White Gold Wedding Band Hammered Ring Classic Polished Style Comfort Fit Mens Womens 7 mm, Size 10.